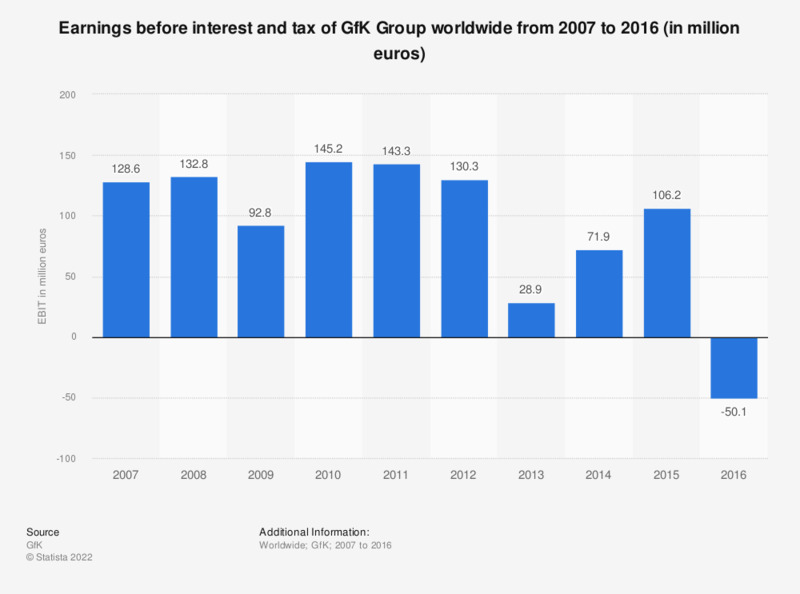 This statistic shows the earnings before interest and tax of GfK Group worldwide from 2007 to 2016. In 2015, GfK's EBIT amounted to 106.2 million euros. The GfK Group is a German market research institute established in 1934. Figures for 2007 to 2015 come from earlier financial releases. Figures have been rounded.